Award-winning property at 3657 Shroyer Rd. The Neighborhood Pride Program enters its 30th year in 2018! Over the years, it has become a treasured award for Kettering residents. 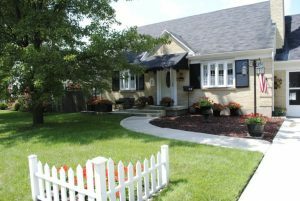 The Neighborhood Pride Program honors residents who have made significant improvements to their homes or who have maintained their properties impeccably year after year. Many properties are nominated by friends and neighbors, and you may nominate your own property as well. Each year, the program receives about 500 nominations with only 38 properties receiving the award. Nominations can be made each year starting in May and continuing through August. Winners are selected each month June through August. All nominations have been accepted for 2018. Please check back in May 2019 to nominate a neighbor.